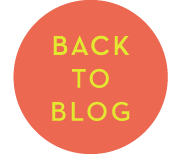 The title of this month’s article often evokes sharp differences of opinions and heated discussion about training methods…so we decided to take on this issue head-on in the first of our 3-part series on training. 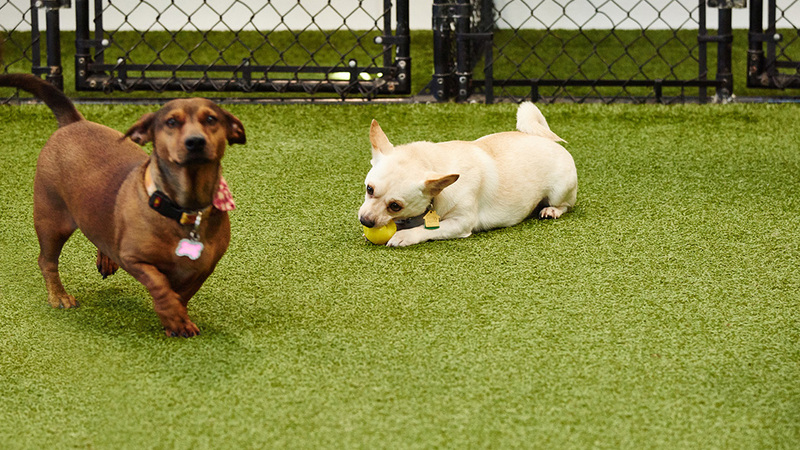 Over the next few months, we’ll also tackle issues like group training vs. individual training, off-leash training, boarding to train vs. parent training, and more. 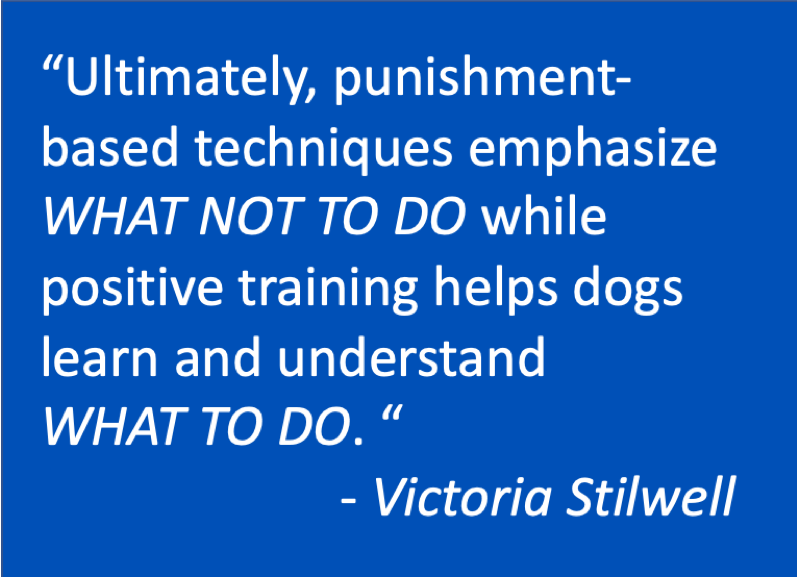 It comes as no surprise but not all dog training programs (or trainers) are alike. A quick Google search for the Birmingham area alone shows over a dozen dog training programs…and that’s just the first couple of pages. To help make the best decision for your furry friend. Let’s consider the following information. The term “positive reward” denotes the use of an incentive to reinforce a specific behavior. Rewards can include treats, praise, or even a toy. 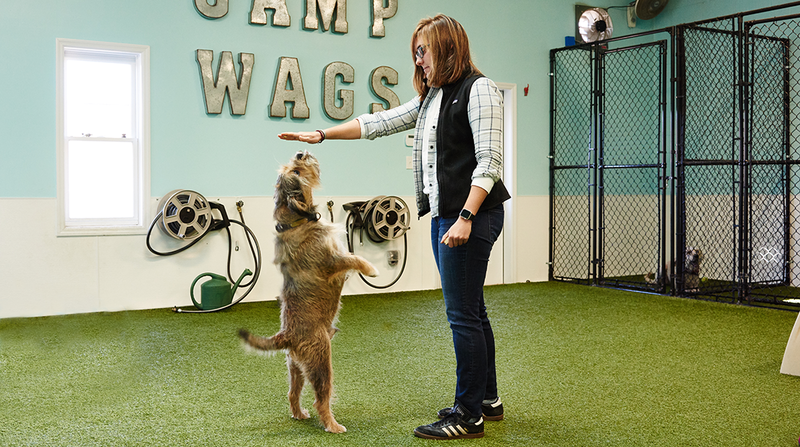 Trainers will often combine both treats and praise to instill the desired behavior. For example, if you train a dog to sit, then as soon as his/her hindquarters touch the ground you provide a reward and praise, such as saying “good dog” in a high-pitched voice so the dog knows you are pleased. Training with a positive reward also helps build a strong, beneficial relationship with your pet. 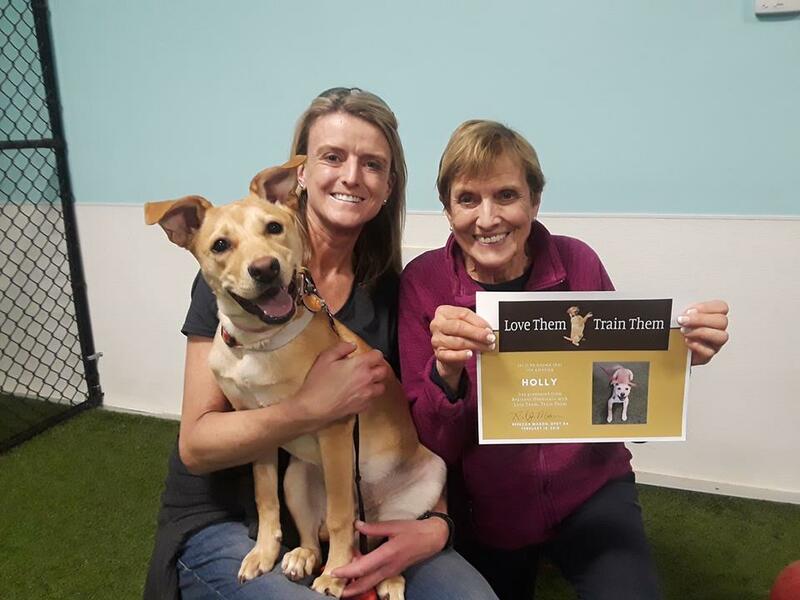 Positive reinforcement trainers frequently use clickers, verbal cues, hand signals, treats, toys, and even games to help modify behavior, correct bad habits, and even to teach tricks. 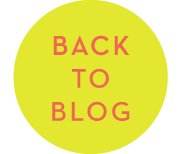 So, does positive reward and reinforcement training work on all dogs? Positive techniques can certainly benefit all dogs in some way. However, it’s important to consider whether the dog was bred to hunt, pull, fight, guard, or has a strong prey drive. Other factors include temperament, age, environment, sensitivity level, behavior and training history. A difficult dog can respond well to positive rewards but may need to be trained in a private setting instead of in group classes. We’ll cover this issue in more detail in next month’s blog. The answer is ultimately up to you. However, at Wags ‘N Whiskers we ONLY train with positive reward and reinforcement-based methods…and here’s why. We believe our pets, like our children, learn and understand best with positive reinforcement and reward. These techniques build confidence and a strong bond between pets and parents. This is critical in developing your pet’s life-long behavior and a fulfilling relationship. Negative or aggressive training methods can rob your pet of their personality, increase fear or aggression, and even cause them to shut down. We also DO NOT use or believe in shock or e-collars, spike collars, hitting, kicking, poking, or other punishment techniques to affect behavior. These methods may suppress behavior but do little to solve the long-term problem and can even cause worse behaviors to develop. At Wags we have a passion for training dogs positively and with respect. We hope this information has been helpful and we encourage you to check into our family-friendly, positive feedback training programs for your furry best friend. For more information visit our website here or call 205-902.WAGS (9427).